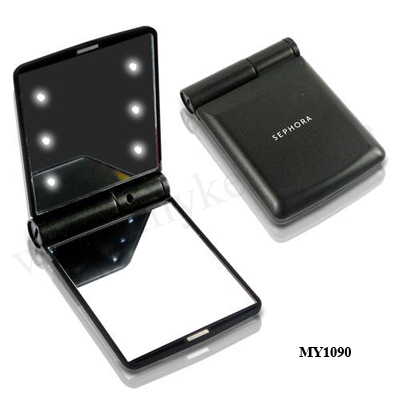 LED lighted table mirror: 3 PANELS provide WIDE-ANGLE VIEWING with 180-DEGREE SWIVEL ROTATION that adjusts to any position as needed. 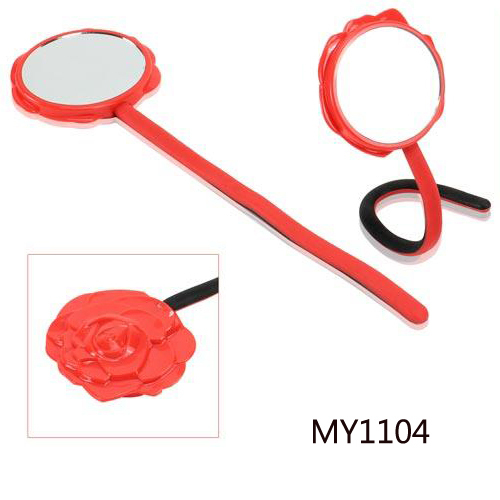 Cordless Makeup Mirror helps you see yourself at HD picture at 1000 Pixel. Made from extra thicken ABS plastic with UV coating, nice looking and resistance to scratch, chemicals, heat, finger prints, and etc. 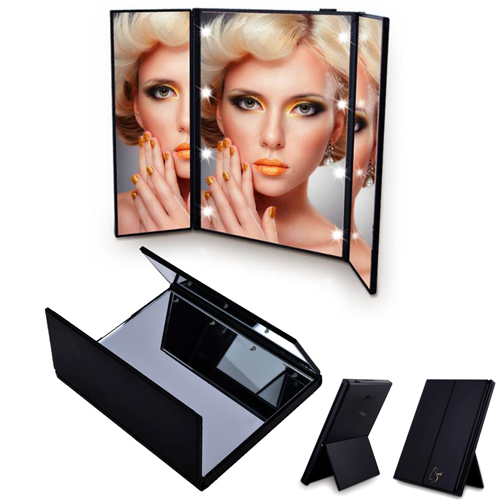 Middle mirror has evenly distributed 8 LED LIGHTS which SIMULATE NATURAL SUNLIGHT, and an optical-quality mirror, this Cordless Makeup Mirror gives you the most natural, glare-free, and distortion-free image possible. 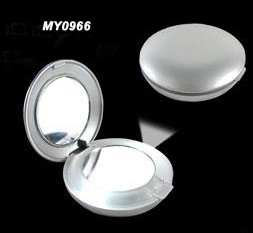 There is a button on the top of the Middle Mirror that controls the 8 mini LED lights on & off. Please be sure to remove the plastic underneath the battery. USE CORDLESS ANYWHERE - The cordless design means you can take the mirror into any room you want to make getting ready even easier. Batteries Included: 2 x CR2032 batteries included in the package. Please confirm the size before purchase. 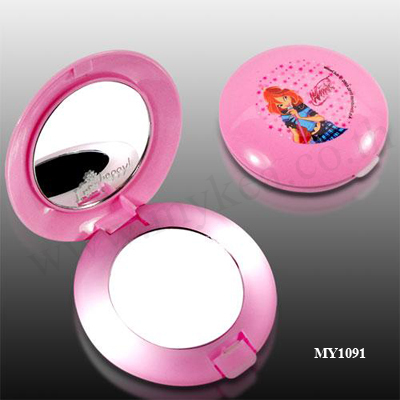 Compact Size for Home&Travel: When folded, the makeup mirror is protected and it's small enough to put in a large purse or store in a carry-on bag easily. Height approximately 15.3cm/6";All folded open roughly 23cm/9". Perfect Angle Adjustable - WITH A STAND ON THE BACK So It Can Stand Freely or Be Held, 90 degree Horizontal Swival. Great Gift for Moms, Sisters, Bridesmaids, Skin Care Addicts, Makeup Gurus & More. * nice looking with reasonable price. 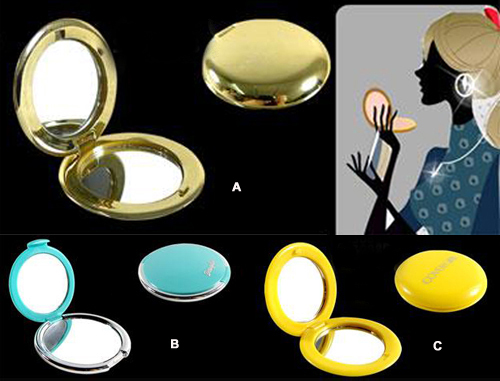 * OEM/customers' design, both available for you. * Color, size, material can be made as your request.